Monday’s attack took place after Muslim villagers in Menbal, which has a population of 45,000, 30% of whom are Copts, accused a Coptic Christian of publishing a post on his Facebook page that insulted Islam, said the source, who did not wish to be named. In his post, published last Thursday (5 July), the 35-year-old Abdo Adel had compared Islam’s prophet, Muhammad, with Jesus. The Muslim villagers filed a complaint with police in the nearby city of Matay and Adel was arrested the following day (Friday 6 July) on charges of insulting Muhammad and contempt of Islam. He has been told he will be remanded in custody 15 days, pending further investigation. On the day of his arrest, a group of young Muslim men tried to attack his house and had to be dispersed by police stationed outside his home, according to the source. Three days later, on Monday evening, the police were called in at 11.30pm because a mob was attacking Copts and their properties in the village. “The Muslim extremists in our village and the nearby villages incited the Muslim villagers against us …. 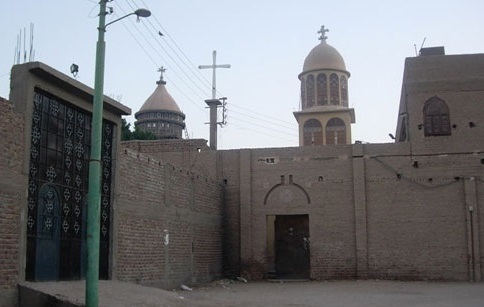 They began pelting the Coptic-owned houses with stones and bricks, while shouting ‘Allahu akbar’ [Allah is the greatest] and chanting slogans against Copts, such as ‘We will displace you and the priest from our village, oh kaffir [infidels], oh the worshipers of the cross, oh defiled people’,” Girgis Shawky, a 32-year-old resident told World Watch Monitor. Windows were smashed and some of the Copts sustained minor injuries. 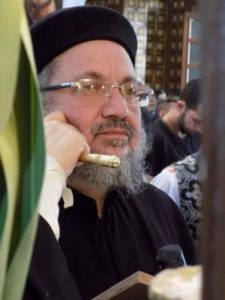 The attackers also attempted to break into the St. Tadros Church and the house of the priest, Fr. Makarious El-Kommas Antoun, but security personnel who were guarding the properties stopped them by firing into the air, he said. However the police were unable to disperse the crowd. Only at about 1am on Tuesday morning (10 July), when regional security forces arrived, was order restored, said Shawky. He added that “security forces have cordoned off the houses owned by Christians and the church”, while a curfew has been imposed from 8pm until 8am. Police have now arrested 90 Muslim villagers on charges of mobbing, attacking Coptic houses and the police, and inciting sectarian strife. “We lived very terrible moments while the mob were attacking our homes. Our children were screaming,” said Hany Adly, a Copt who owns an electrical-supplies shop in the village.